Hash It Out is located at the Mississippi Marketplace pod (Mississippi and Skidmore) in Portland, Oregon. Seth (a.k.a. Banzai) opened this cart roughly three weeks ago, taking over the spot that The Big Egg vacated upon the latter's move to a brick-and-mortar location. 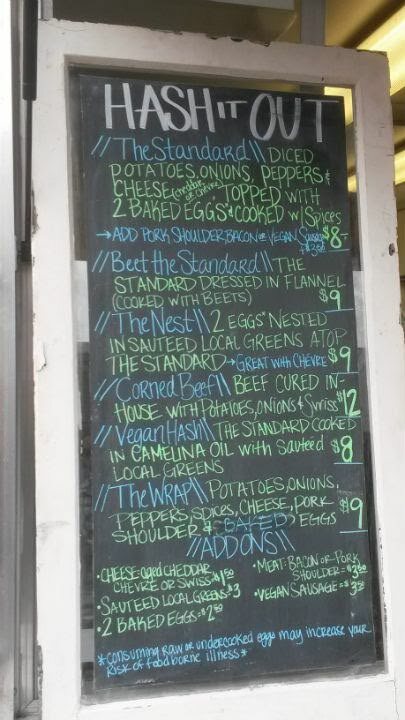 Like its predecessor at this cart spot, Hash It Out offers breakfast. For Banzai, hash was something he loved making and eating, and after cooking up five-course meals before opening his cart, it's clear cooking is in his blood. 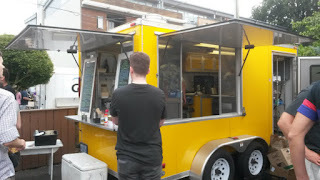 The menu has five types of hash dishes and a wrap option. Three types of cheeses (cheddar, chevre, and Swiss). Hash It Out has opted for baked eggs, presumably also to free up grill space for the hash. 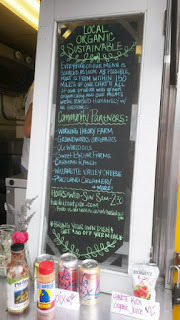 All ingredients are locally sourced, as Banzai wants to have all of his product within 150 miles of his cart. I got The Standard ($8), adding bacon for $3 more. 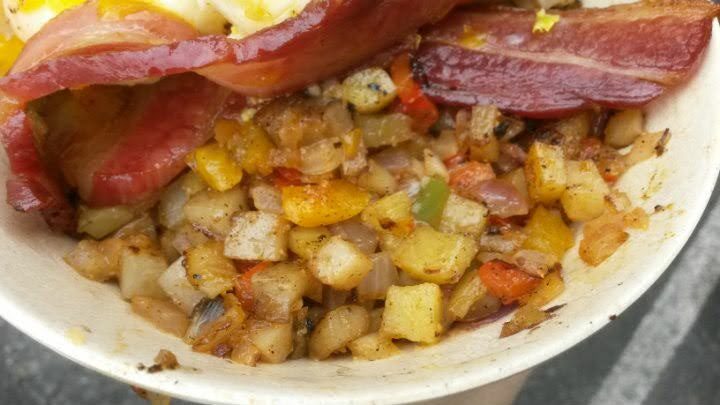 This dish starts with a bed of hash (diced potatoes, onions, peppers, and cheese), topped with three slices of bacon and two baked eggs. 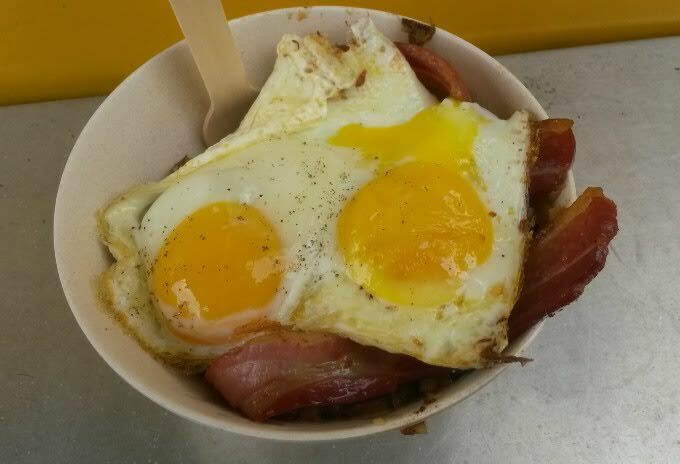 Everything is made to order, so the bowl of hash will arrive piping hot. A delightful, filling dish. Bacon had some thickness and was cooked wonderfully. I also loved that they have condiments like Secret Aardvark habanero sauce to keep spicy fans like me coming back. 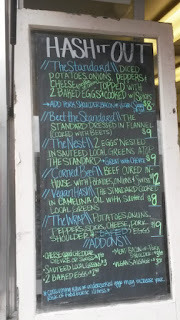 There is a corned beef hash option ($12) with house-made corned beef that I also would love to try soon.